Reggae Invasion Vol. 1 is the 1st Compilation being released by Miami based Production Duo, Black Lion. This dancehall Masterpiece features vocals from stars Mr. Vegas and Assassin along with hot new international artists Kat Dahlia, Nyanda, The Wizard, Esco and The Kemist. Nyanda, also known globally as a member of the chart topping Pop/Reggae duo Brick & Lace, launched her solo career in 2013 with the Black Lion produced singles Slippery When Wet and Trouble, which combined, spent 12 Weeks on UK’s Music Week Urban Club Charts. Epic recording Artist, Kat Dahlia, lends her sultry vocals to 1 of the Compilation’s featured records Mash It Up, which is quickly becoming a Jamaican anthem chanting “We come inna di dance and we mash it up!” The featured video was filmed in the streets of Kingston and follows Nyanda, Kat, The Wizard and The Kemist as they party in Jamaica’s booming dancehall. 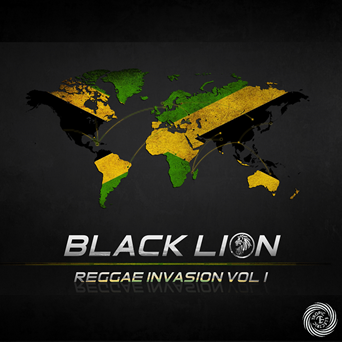 The Kemist, who makes up ½ of Black Lion, is the son of Reggae Queen, Ms Marcia Griffiths. He stormed onto the international music scene with a fresh new sound that fuses witty lyrics, infectious melodies and bass heavy beats to create the ultimate party anthems. In less than 12 months, The Kemist has collaborated with Trap / EDM heavyweights Yellow Claw, Dirtcaps, Tropkillaz and Lny Tnz garnering over 1.3 million spins on Soundcloud. The Wizard, currently promoting her viral hit Like A Pro is reggae icon, Beres Hammond’s daughter. With production credits that include Award winning artists Nelly Furtado and Paulina Rubio, The Wizard is fast becoming one of Jamaica’s biggest Producers.